We’d love your help. 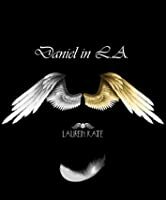 Let us know what’s wrong with this preview of Daniel in L.A. by Lauren Kate. 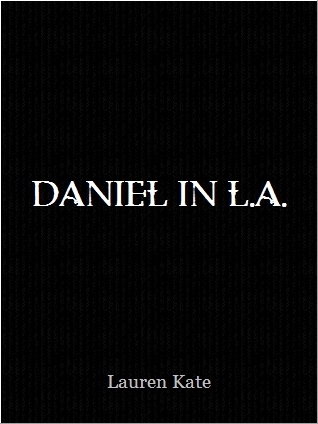 To ask other readers questions about Daniel in L.A., please sign up. Be the first to ask a question about Daniel in L.A. This review has been hidden because it contains spoilers. To view it, click here. Daniel's in the City of Angels...(I might sound stupid but please be patient with me...still haven read the actual series) is Sword and Cross in LA? I'm getting to stitch the novellas together and figuring out the timeline. Now I'm getting somewhere...this happened just before he went to Sword and Cross!!! I thought fallen angels don't have wings anymore...I was proven wrong! And there are also parole officers that they call as Scales. Omg, please prove me wrong again...party at the Valley, where Daniel's in the City of Angels...(I might sound stupid but please be patient with me...still haven read the actual series) is Sword and Cross in LA? I'm getting to stitch the novellas together and figuring out the timeline. Now I'm getting somewhere...this happened just before he went to Sword and Cross!!! Omg, please prove me wrong again...party at the Valley, where was Luce's party when she obliterated Trevor. Please tell me it's not there. This short story was quit interesting. I have been wondering how Daniel lived while he didn't get to see Luce and this gave an answer to it and even showed a bit more of Shelby! I have been interested in her since she isn't as much in the picture as some others in the Fallen books and you just don't know that much about her. This gave a bit more information and I wish there was a way to learn more about her. This is probably my least favorite of the five extras I read. It just felt trivial and unneeded. The thing with her and Trevor still confuses me. Did he burn because Luce is only allowed to kiss Daniel? Is it their cursed love? I'm wondering if she's ever kissed anyone else in her past lives. I love seeing inside Daniel's head. He's actually panicked and his every thought is consumed with the love of his entire existence. What agony-to be cursed with losing her every 17 years, and having to do it all over again. I can't believe he's been taken into the police station so many times that he k The thing with her and Trevor still confuses me. Did he burn because Luce is only allowed to kiss Daniel? Is it their cursed love? I'm wondering if she's ever kissed anyone else in her past lives. It was great seeing a piece of Daniel's life in L.A. and how he ended up at the reform school. This review has been hidden because it contains spoilers. To view it, click here. So Daniel was hiding out in L.A. determined to break up his & Luce's pattern of falling in love & then her dynig every time. He meets Shelby, a daughter of his friend, Sem. They go out to this party, where the cops bust them & Sophia sends Daniel to Sword & Cross the reform school, which is how he ends up there, I guess. For a 10 page short, this was actually the most interesting of all the shorts in this series. More thoughts on this short and the others will appear on Elfie Books blog soon. Check the Lauren Kate page on the blog for reviews and thoughts of the shorts and main books. Daniel!! I am hooked because of you. Just kinda wondering why in the fallen book they didn't mention anything about Sem. What happen if he was real close to her. Quite a handful Daniel stealing a shopping cart? what for? hahaha.. I hope to get to read more about Shelby soon. A peek into Daniel's life before Sword and Cross. Interesting to see how he lives while trying to avoid Luce. Also, interesting to see a nephilim. Oh, loved these short stories, loved these looks into the series! Need to read more! Interesting to see what Daniel was up to and how he tried to avoid Luce this time around. Also to see how Shelby ended up at Sword & Cross. This was a real intresting read i was always intrested in how Daniel and Sibe meet i dont think thats her name. Any way yeah good to understand his past more. This one was pretty good. Again these are really really short, but this one had some interesting information to provide that certainly sheds some more light on the main storyline. I liked it. I really just want to know more about shelby. . . It actually contributed with some new information about Daniel, Shelby, and their "relationship." I always love the extra, it's great to see what each character go through and what they think. Daniel without Luce is BORING. nothing personal.